Edible Ebbsfleet is a community activation initiative which works with, and supports local residents to develop a series of small scale food growing initiatives along local streets, parks and gardens both to transform the image of the area and to promote education on the health benefits of eating fresh fruit and vegetables. The existing communities adjacent to Ebbsfleet Garden City have health indices over 30% lower than the national average, including a high incidence of childhood obesity, and adult type 2 diabetes. Edible Ebbsfleet will help local people take control of their own health outcomes by making healthy eating fun. Through food growing, residents will be encouraged to get involved, to grow, to cook, to eat and to get to know their neighbours. Building on the success of Incredible Edible Todmorden, the Ebbsfleet Healthy New Town Team have worked with a local voluntary sector organisation ‘No Walls Gardens’ to kick-off the initiative with modest financial support for a series of 10 planting locations, which come together to create the first Edible streetscape, along London Road, Northfleet. 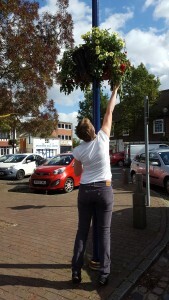 The Northfleet streetscape offers free access to fruit, vegetables and herbs, including tomatoes, kohl rabi, cucumbers, pak choi, potatoes, sage, garlic and beans, which hang from baskets, or grow in planters, along the High Street and in small park areas. The planting surprises and delights, and encouragers passers-by to pick, share, take home and cook. The Edible Ebbsfleet ambition is for such streets to become the norm across the Garden City. 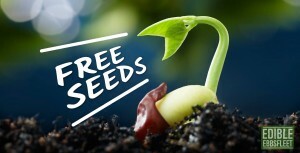 Further phases will see planting of fruit and vegetables at Ebbsfleet International Station, in parallel to a healthy growing and eating education programme within new and existing schools. Ultimately the programme aims to become self-sustaining with developers and community activists picking up the mantle; from small berries to great fruit trees, Edible Ebbsfleet will become part of the brand for a 21st Century Garden City. 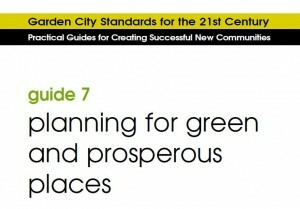 Ebbsfleet Garden City and our Edible Ebbsfleet have been used as an example of good practice in the Town and Country Planning Association’s publication Planning for Green and Prosperous Places. This is the latest in a series of practical guides for designing and delivering successful new communities and Garden Cities. Read it by clicking on the link below.